On October 16th, 2pcs TRSB6×5-12J Mission type centrifugal pump ordered by a new Zealand client are ready for delivery. They will be used in horizontal directional drilling field. In order to make these pumps more eye-catching in their country, TR has designed the sky blue paint for our client specially. This received very high evaluation and they liked them very much. 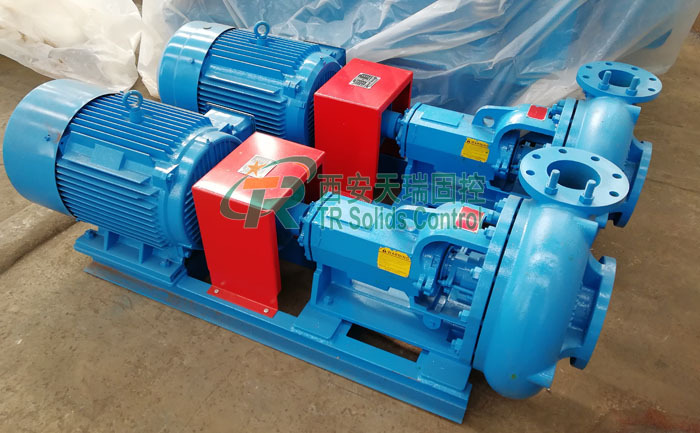 Regarding these two Mission centrifugal sand pumps, its flow rate is 150m3/h, lift is 30m. Impeller diameter is 12”, power is 37kw, and frequency is 50HZ. Its motor is explosion-proof type. Generally Mission sand pump has the same internal structure as domestic common centrifugal pump. However, its lubrication method is grease lubrication, while the domestic commonly mud centrifugal sand pump is lubricated with oil. Spare parts of centrifugal pump from TR Solids Control can be completely interchangeable with imported mission pumps. As a lead and professional manufacturer of centrifugal pump in China, TR Solids Control has rich experience. 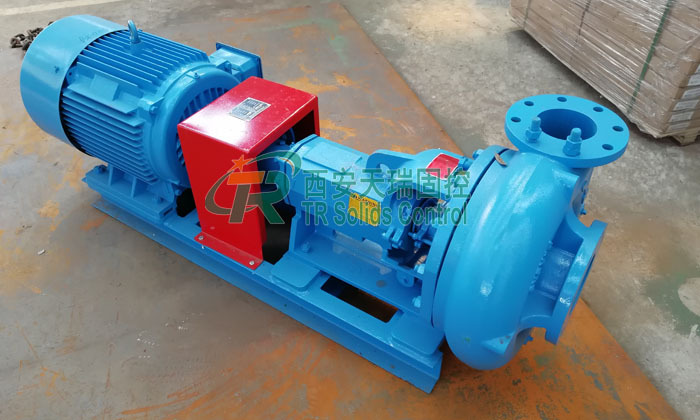 At present, our TRSB series centrifugal pump is widely used in industries like oil & gas drilling, horizontal directional drilling, drilling waste management, tunneling, bored piling construction and so on. If you have any requirement lately, welcome to contact with us freely.